1. 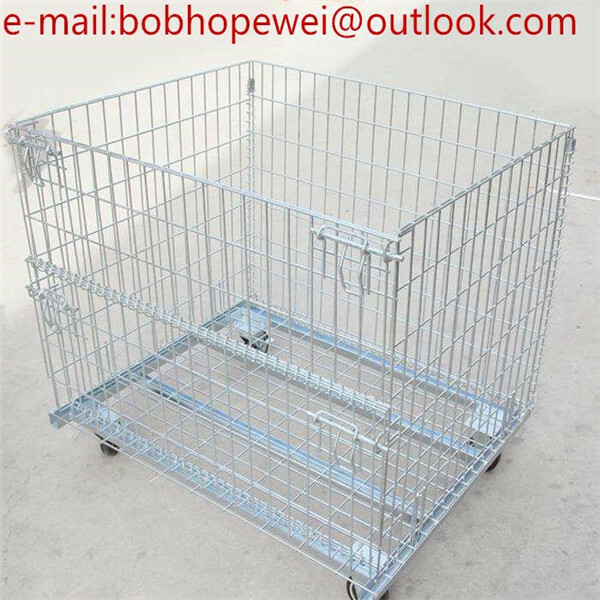 The storage cage is made of high qulity iron material and formed by cold harder welding. 2. 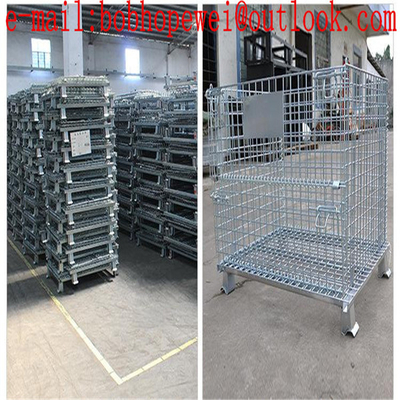 Folden structure makes loading .Revolving and storing much convenient. 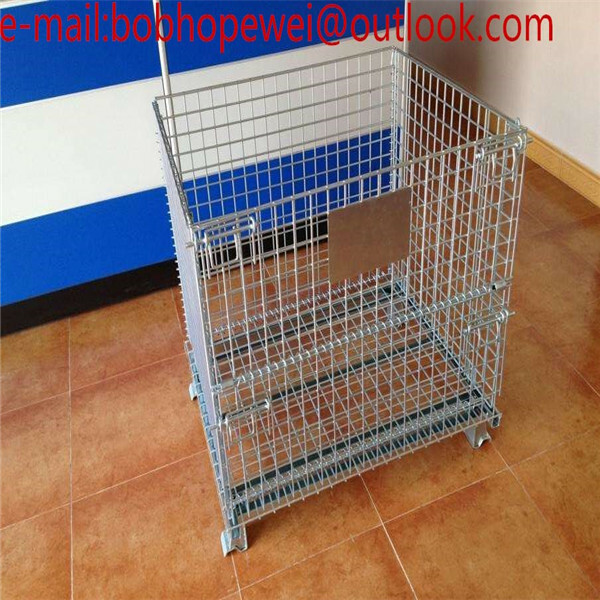 It's easy to manage.Meanwhile,it could save space when not using with it folded structure. 3. The surface treatment is zine-plated,so it is beautiful and durable and there is no pollution in every process. 1, What is the material being used for your products? 2, How is the goods being packed? ---Plastic banding + Stretch film wrapped, palletized for easy loading and unloading with standard forklift truck or pallet jack. 3, What payment terms can we accept ? ---T/T , Western Union . 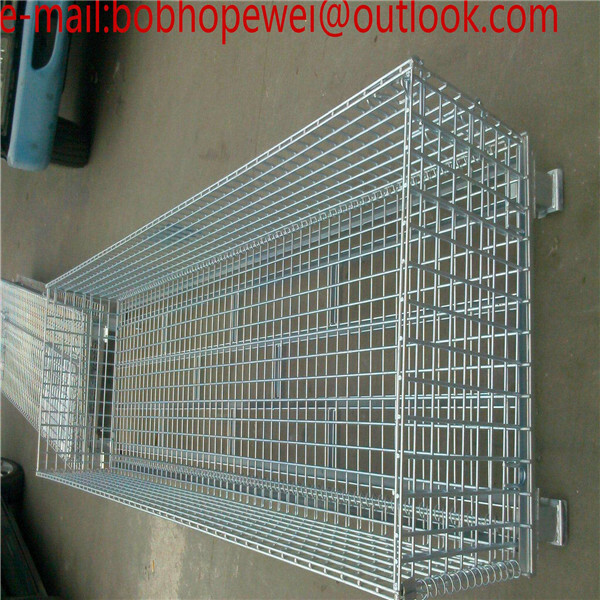 4, How about the surface handle of the cage ? 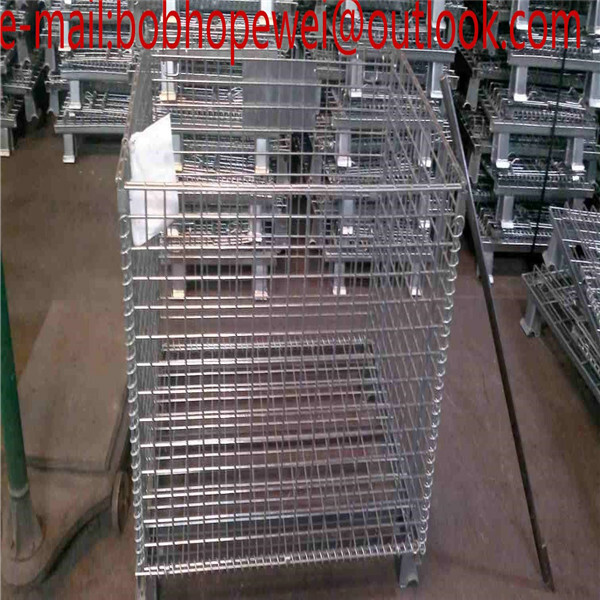 ---Electro (cold )galvanized ,hot dip galanized, colorful galvanized ,painting or powder coating are available. 5, What is the loading capacity? --- In general, we have light duty(100~300kg) model,medium duty(400~800kg) model and heavy duty(1000~1700kg) model available for your choice. 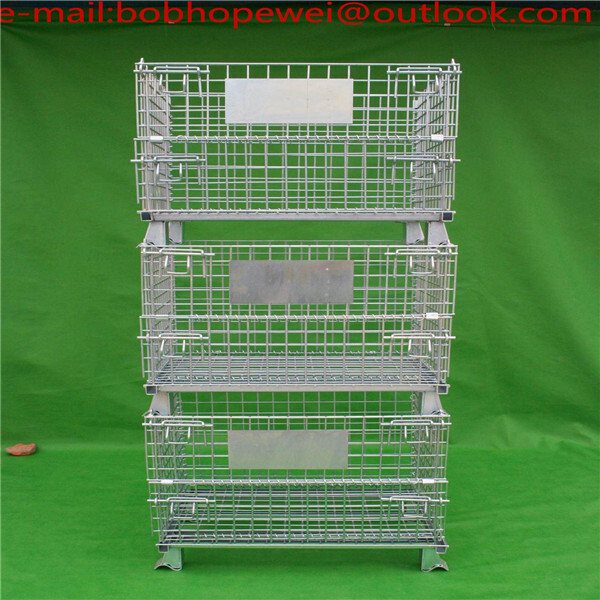 6, what's the usage usually with this kind of cage ? --- motorcycle parts, accessories, hardware, automotive, die casting, forging parts, engineering machinery parts, metal stamping, lighting, toys, furniture, building sanitary parts, postal, medical logistics, port, food, business supermarkets, restaurants, agricultural and other industries etc. 7, I like your design, but couldnt find the right model from the products list, is custom size available? 8, I would like to have my own design products and qty is not that big, is it ok? 9, I don' have drawing or picture available for th custom products, could you design it for me? 10, How long does it take on finishing the products (lead time) ? ---Generally ,needs about 15-20 days after receiveing the deposit. 13, Do I get any guarantee from your company? 14, What happen in case any quality problem is identified after arrival?